Det finns inget värre än när man väntar sig en uppfriskande klunk vatten och i stället får munnen full med smuts. Med det här praktiska skyddet till ditt Hydraulics™-bitmunstycke får du precis vad du väntar dig när du dricker, och du slipper obehagliga överraskningar. Good addition to the Hydraulics bladder pack. Does exactly the job it was designed for, keeps the bite valve clean and dirt free even when your pack is off and on the ground. would recommend to anyone who purchasers a Hydraulics bladder pack. Delighted with this bite which I use when mountain biking, but I would also strongly echo the thoughts of those reviewers who say that it really should be a standard feature on the relevant hydration packs. I'll also take the opportunity to congratulate you on the design of your packs (I have two) and your customer service. Diese Kappe ist ein Must. Als Neuling mit einem Trinksystem hatte ich vorher einen Urlaub lang mit Schmutz auf dem Mundstück zu kämpfen, ohne zu verstehen, warum. Meine schlimmste Erfahrung war, dass das Mundstück in einem Kuhfladen landete, als ich den Rucksack auf einer Wiese gelegt hatte. Ich musste erst mal googeln, um zu sehen, dass es von Osprey diese spezielle Abdeckung gibt. Im Nachhinein finde ich es unglaublich, dass die Abdeckung oder zumindest ein Hinweis auf diese nicht gleich mit dem Trinksystem mitgeliefert wird. Wer sie nicht braucht, kann sie ja abmontieren. 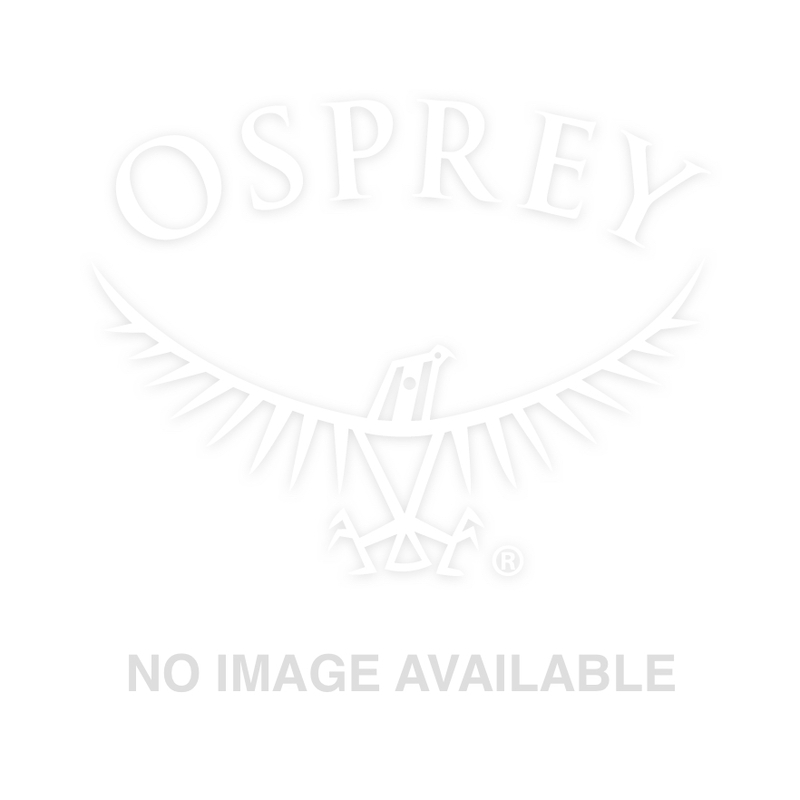 Bei dem Gesamtpreis und der Qualität der Marke Osprey sollte das selbstverständlich sein. No-one wants a mouth full of dust, mud or detritus when having a quick sip on the trail & this cover protects the valve from getting messy! What I am amazed at is having bought a rucksack for £120+ & a bladder pack for £30+ why on earth was the cover not included with the bladder or sack? I have had absolutely brilliant service from osprey & the equipment I have bought (I own 4 sacks of varying sizes) but the failure to provide a valve cover is, IMHO, a marketing disaster and totally miscalculated. If as mentioned in other responses, someone doesn’t want to use a cover they could take it off. My bladder pack, at 3 litres, would be unlikely to be used by a runner. Such a pity. Thanks for taking the time to write a review for the Hydraulics Bite Valve Cover. We're pleased to hear that overall, you are very happy with your pack and the service you received from Osprey. We're sorry to hear that you feel this way in regards to the Bite Valve Cover not being included when purchasing and this is something that we will pass onto our Sales Team for consideration. Bought one of these after a particularly dry expedition where I kept putting my bag and hence my mouthpiece on the dusty ground. I wanted something to stop it getting dirty and it does just that. Worked perfectly on a very damp expedition, no more having to wipe off the mouthpiece every time I picked the bag up. Certainly can’t complain for a fiver. Love the cap! IT keeps your bite valve clean wherever you put your pack. No more sand and dirt on it! The only thing we noticed on our hikes is, it comes of to easily sometimes. So there good be some improvements made. Overall a must needed extra with your hydraulics system. Muy bueno para evitar contaminaciones en el "reservoir"
Habia intentado conseguir un efecto similar con plasticos, globos, etc sin éxito. Los vi anunciados en Canada pero no sabía que ya se comercializaban en Europa. Una muy buena solución, es`pecialmente cuando se acarrea la mochila en trenes, aviones, buses, taxis, etc. Higiene ! Relativity cheap and easy to mount on the hose. Works just fine. This is a valued piece of kit, so why isn't one put on the bag as standard. Even cheaper bags have nozzle covers!. I have a syncro 10 and it's is one of the best bags I've owned, so if youre listening Osprey think about fitting a bite valve cover as standard. Great stuff though. Thank you for your taking the time to write a review on the Hydraulics Bite Valve Cover. This is not included as standard, as there many customers who do not wish to use a cover, for example, runners who need quick access to the Bite Valve. Therefore, we sell the cover seperately, for customers who would like this option. However, I will ensure your feedback is passed to our Product Line Manager for consideration. Perfect fit and easy to fit. Works just fine. My only problem is that I keep forgetting to replace it before putting my pack on the ground. Perhaps I need a flashing reminder to replace it!! it covers the bite valve. I've been using Osprey rucksacks and hydration systems for quite a while now and love the quality and functionality. I just needed a Hydraulics bite valve cover and was delighted to find one on the Osprey website. Once ordered it was delivered quickly and with no delivery charges, which is a big plus. Thanks Osprey. Keep doing what you're doing!